Today I spent the afternoon in the kitchen:). I’ve actually been looking forward to doing this for days but life in Istanbul is a bit hectic right now and I’ve had to put it on hold. But today was the day! Outside was decidedly grey and unappetising. I was happy to be indoors in my nice cosy kitchen! All my ingredients were to hand and I had taken my butter out of the fridge in the morning to come to room temperature. No eggs in this one, just butter! Christmas is right around the corner now and you’re just in time to do some baking! I made about 48 cookies all in all! First and foremost I really have to recommend one of my old standbys, Joan’s yummy chocolate chips. 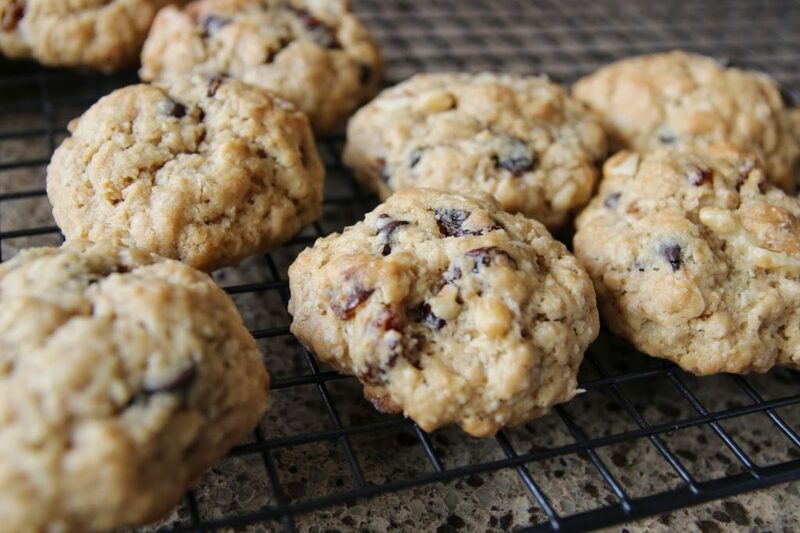 This recipe is one that I come back to time and time again: it’s easy, the ingredients are ones that you’ll have in your store cupboard anyway, and most importantly, everybody totally loves these cookies! OK so I made a batch of those. But I also wanted to try out a new recipe which is the one I am featuring today. I saw it in my GH Bumper Christmas Issue – the main ingredient was hazelnuts which we have here in abundance, and they looked pretty. I like things to look pretty. But to be fair: this is not a recipe for the novice cook. Why? Because it involves rolling out dough. I know that for many a new cook this is quite scary and compared to my choc chip recipe, this one is a bit challenging. It’s also somewhat time-consuming as you have to chill the dough not once (because of the high butter content) but twice during the preparation. This doubles the time spent in the kitchen. Rolling out the dough the first time is OK but after you have cut out the preliminary shapes, you have the remaining dough which you rework. Bit by bit, this dough becomes more and more unworkable. Don’t despair! I decided that this would make the perfect crumble topping so have bagged and labelled it for the freezer accordingly. 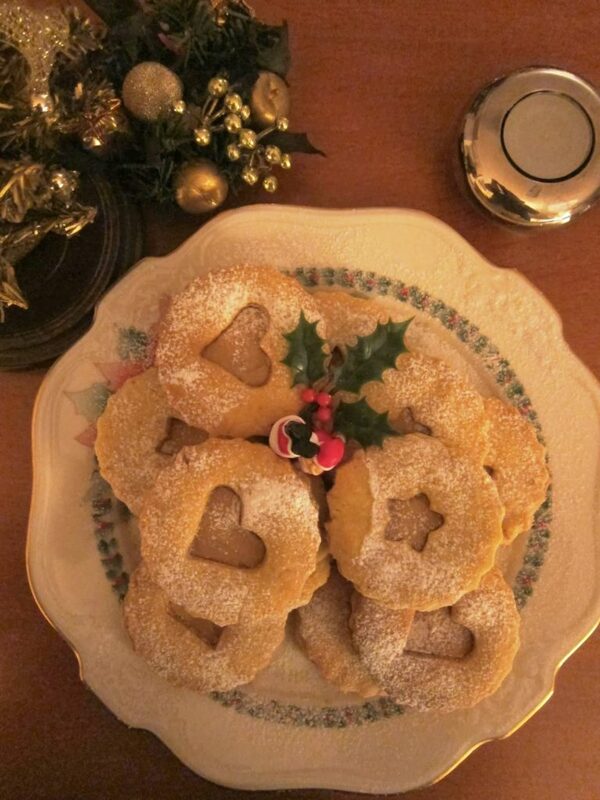 Otherwise, yes indeed: this recipe makes wonderful Christmassy cookies! They look great with that cutout in the middle, and the filling of the hazelnut spread is decidedly yummy. I have frozen the entire batch in anticipation of the family arriving next weekend! Preheat oven to 180C/160C fan/mark 4. Roast the hazelnuts in the oven on a baking sheet for 10 minutes and then allow to cool. I toasted mine till golden in a small frying pan. Empty into a food processor and pulse until finely ground. 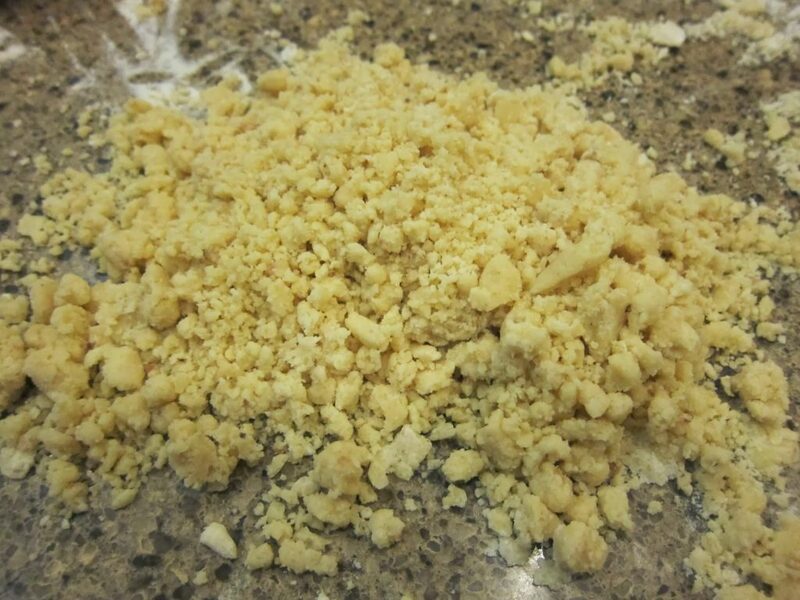 Beat the softened butter and granulated sugar in a freestanding mixer until just combined. Add the vanilla and almond extracts plus 2 tbsp water and beat briefly. In a separate medium bowl, sift together the flour and ½tsp salt and then, with the mixer on low, add it slowly to the butter mixture. 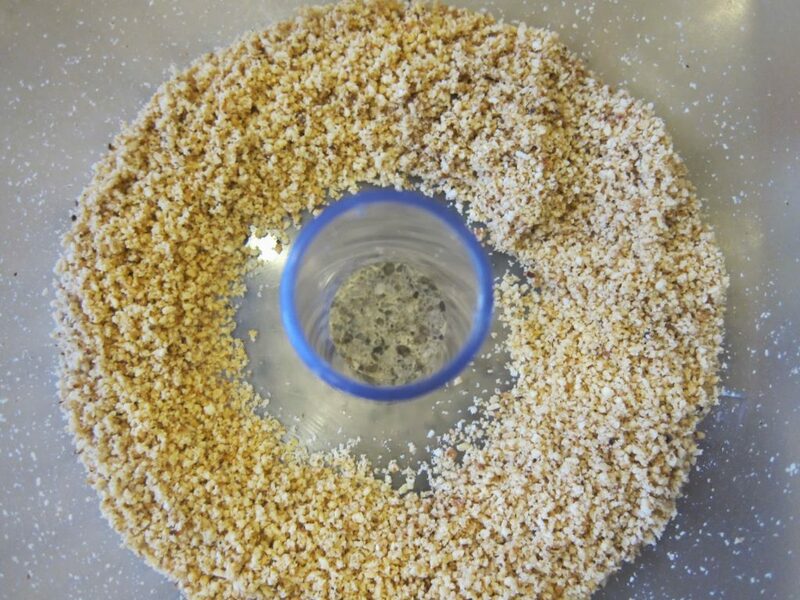 Add the hazelnuts and mix on low until the dough comes together. Wrap dough in clingfilm and chill for 30 minutes. Lightly flour a work surface and roll out the dough (or half if it’s easier IT IS!) 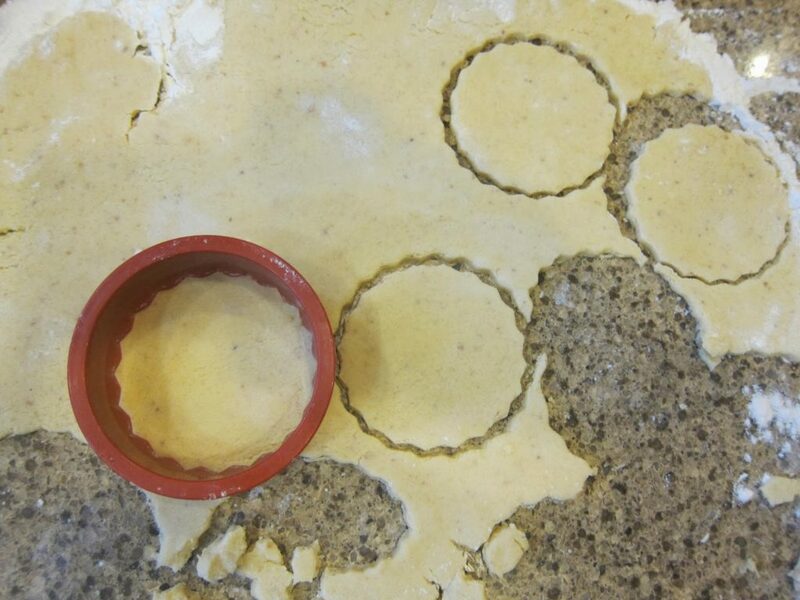 until 5mm/1/4in thick – the dough will be quite soft so make sure it’s not sticking to the surface. Stamp out 7cm/2 3/4in rounds with a plain or fluted cutter. 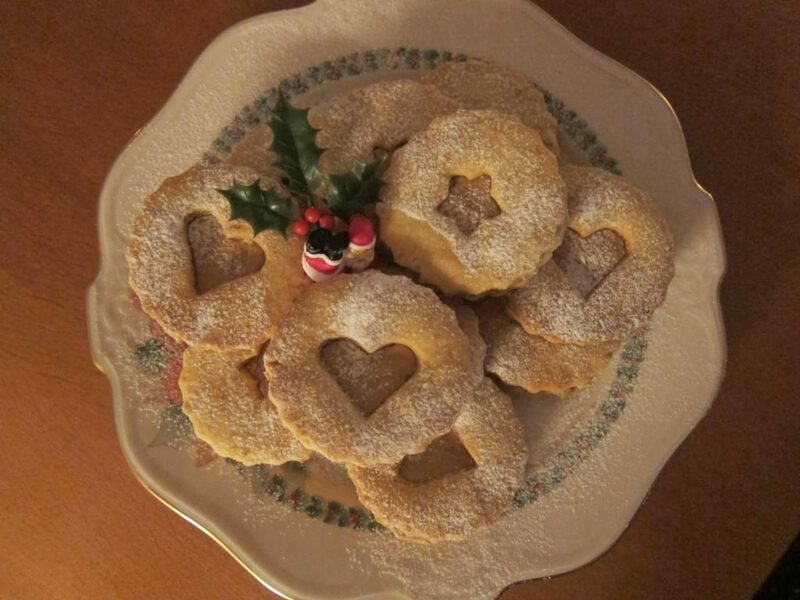 From the middle of half the cookies cut out a 2cm/3/4in plain or fluted circle or indeed any other smaller shape. 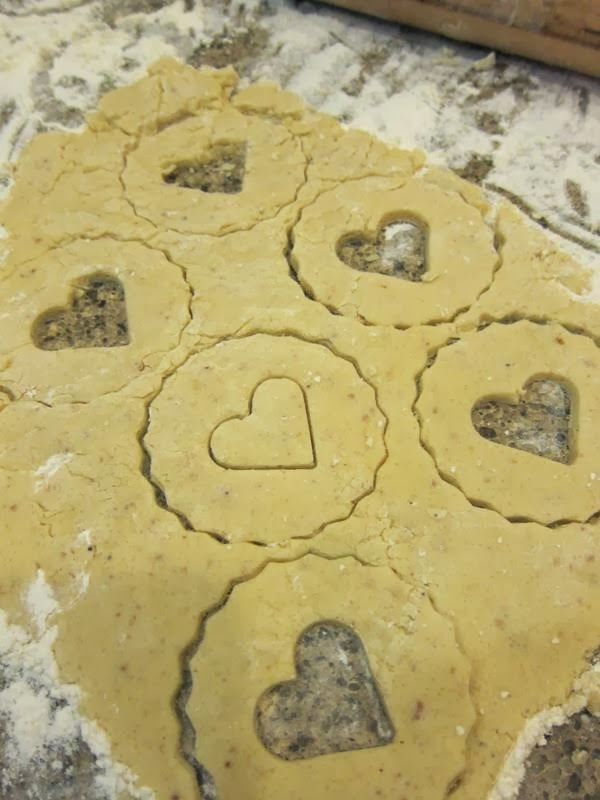 Transfer cookies to baking trays lined with baking parchment and chill for 15 minutes. Reheat oven to 180C/160Cfan/350F/mark 4 and bake the cookies for 20-25 minutes until the edges of the cookies begin to brown. Allow to cool completely on the trays. Spread some of the hazelnut spread on the flat side of each solid cookie and top with a cut-out cookie. 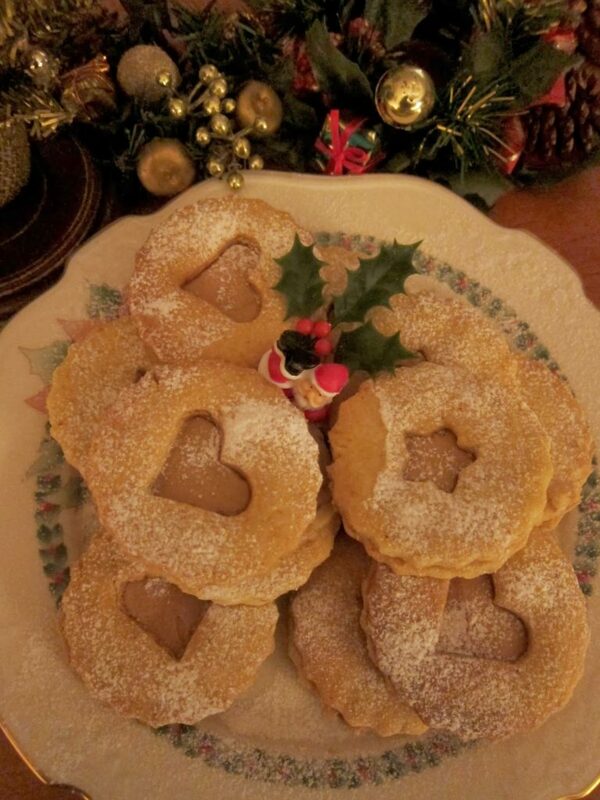 Dust the tops of the cookies with icing sugar.